OMG! My cats do that when I am knitting. Or eat the yarn. Sometimes its just to eat the yarn. This is Ophelia. She does this all the time! Sits right on my pattern, right on whatever I’m knitting. Gah! Then there are the ones that pat at the needle ends, or worse—bite them! Subtle? NOT! 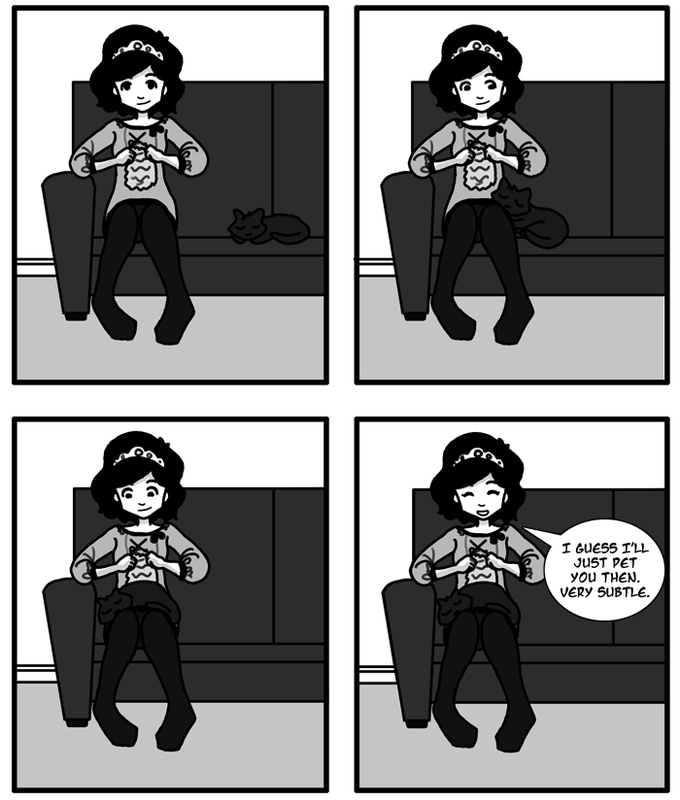 My cats do the same thing…except then they start to eat the yarn. *Sighs* I always wanted a cat who would sit on my lap while I knitted. I am NOT old!